Tokyo Metropolitan Television Broadcasting Corporation (Tokyo MX) has faced controversy since the January 2 airing of a segment of its program “News Joshi” (News Girls), due to content such as Okinawa’s anti-base movement proponents being likened to terrorists. 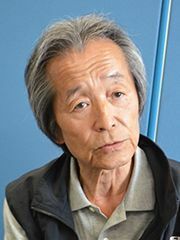 Tokyo MX asked 72-year-old journalist Koh Yoshioka to produce a new segment on the topic, which has been in preparation since late May and will include background on the Okinawa anti-base movement. In response to Ryukyu Shimpo, Tokyo MX stated that it aims to produce a program that conveys the current circumstances in Okinawa by equally featuring those on each side of the Okinawa base issues topic. It was also revealed that the intended airdate is between July and September this year. On June 2, Tokyo MX asserted that the content of News Joshi is not something that can be refuted altogether, and clarified that the program containing new coverage by Yoshioka is not meant to act as a correction of the original News Joshi segment. Also on June 2, Tokyo MX explained that Yoshioka is a suitable producer of the new segment, as it is essential to convey the disparate views of history between Okinawa and mainland Japan in order to impart why the anti-base movement has developed. Yoshioka says that people in mainland Japan do not grasp why Okinawa base issues are such a serious topic, and superficially criticize the anti-base movement on the internet and elsewhere without understanding the history of Okinawa. The upcoming program is planned to set out Okinawan history since its time as the Ryukyu Kingdom, and present interviews with about ten people on each side of the topic from university professors to persons involved in military incidents and accidents. On June 3, Yoshioka visited the gate to Camp Schwab in Henoko, Nago City, and interviewed local residents who oppose the construction of Futenma’s replacement facility there.